For 15 hours over two rainy days, I researched my heart out at Salt Lake City's famed Family History Library. I stared at digitized records on computer screens until I was bleary-eyed, and trawled through enough miles of microfilm to circle the earth, twice. 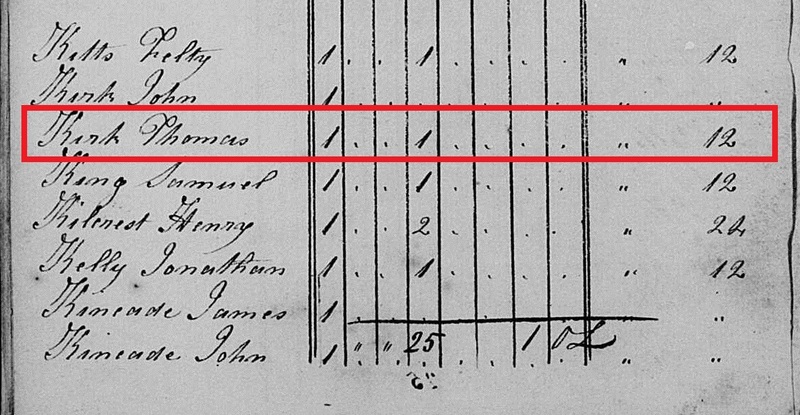 Slowly, my steadfast research surfaced exciting new details integral to my chief genealogy obsession: my fifth great-grandfather Thomas Kirk. On Saturday, with a few short hours before closing time, I made an exciting discovery - a collection of tax records that spanned 1797 into the early 1800s. "Tax records?" I hear you asking with a yawn. Admittedly, tax lists don't sound that exciting, but, I believe these particular documents account for five previously unaccounted years of Thomas Kirk's life. Five! Furthermore, these records position him, for the first time, in the state of Virginia, corroborating the birth location given by his children to census enumerators in 1880 and 1900. Thomas and his wife Sarah Bonar were early settlers in Licking County, Ohio. 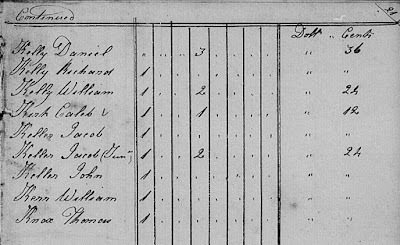 An 1806 Licking County tax record was, before this weekend, the earliest known record for Thomas. It indicated that the Kirks were in the Buckeye State by 1805 (the year the 1806 record assessed). Their first child, my fourth great-grandfather Vachel Kirk, was born in Ohio in 1805. Thomas' exact birth location in Virginia or any of his whereabouts before his arrival in Ohio were a mystery. I feared records of his pre-Ohio movements might have been destroyed during the Civil War. On Saturday night, I walked away from the library's hallowed stacks with five new records that just might fill in missing years in the timeline of Thomas Kirk's life and give my research new avenues of pursuit. One of my primary research goals for this trip was to examine land, tax, and probate records for Brooke County, Virginia (now West Virginia). Sarah Bonar's parents William and Jane (McCulloch) Bonar lived in Brooke County. According to the Bonar Genealogy, compiled by Dorothy Elizabeth Rine Brown, "Brooke Co was referred to as the 'wilderness' by frontiersmen" and William Bonar was documented as one of the county's early "home-seekers." Brown wrote that the Bonars spent their entire lives in the county: "Here on their plantation William and Jane lived and died and reared a family of four sons and six daughters." Among those daughters was Sarah, Thomas' soon-to-be wife. Surely Thomas Kirk would eventually bound onto the scene in Brooke County. How else was he going to meet and marry Sarah? The question was would he stick around long enough to leave his mark on the paper trail. Brooke County's personal property tax lists, dating to 1797, survive and are available online. I opened the first record and began my review of names. The lists are in alphabetical order by surname. 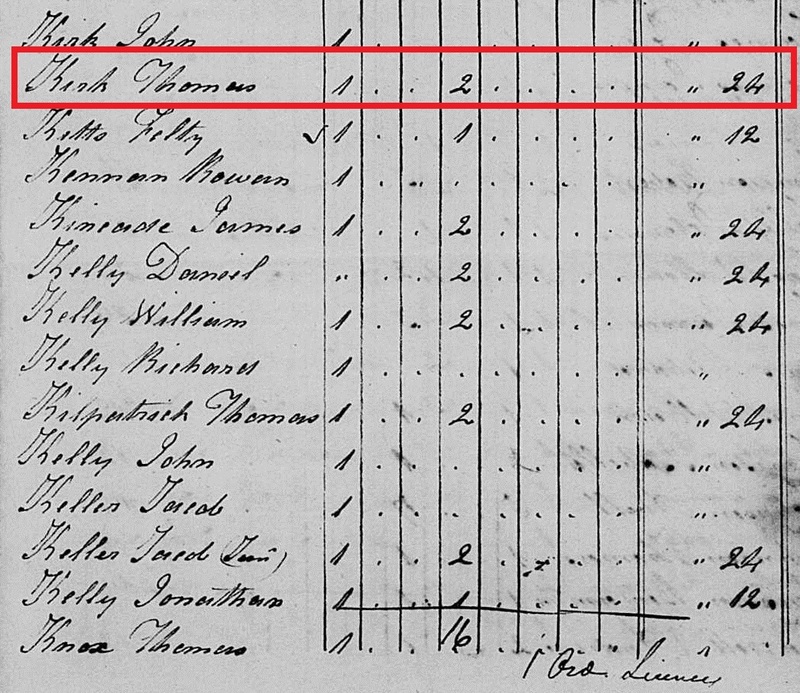 I quickly found Sarah's father William Bonar on the 1797 tax list, but there were no Kirks enumerated that year. I moved on to the 1798 tax list. Again, there was William Bonar yet no Kirks. I loaded up the 1799 tax list. William Bonar was there as expected, but there were some new names under the Ks. Making their first appearance in the records were three Kirks. One of them was - drum roll, please - named Thomas! In addition to Thomas, the list included a John Kirk and a Caleb Kirk. The first column in the tax list denoted, "White above 16". All three Kirks have a mark in this field. The fourth column (the only other field with a notation) tracked the number of "Horses, Mares, Colts & Mules." John Kirk had none and, accordingly, was assessed no personal property tax. Both Thomas and Caleb Kirk had one and were each assessed a 12 cent tax. The relationship, if any, between Thomas, John, and Caleb is unknown. Research needs to be done on the identities of these other two men. Curiously, neither John nor Caleb were names that my Thomas Kirk gave to any of his sons, initially suggesting to me that they were not family names and raising some doubts about a familial relationship between the three men. But, alas, the tax records provide no answers on this front and only raise more questions. It remains interesting that three men surnamed Kirk appeared in the same county in the same year. Over the next four years, Thomas Kirk was enumerated in Brooke County's personal property tax lists. In 1800, Thomas and John Kirk were enumerated one after the other. John still didn't own any horses, but Thomas now owned two and paid a 24 cent tax. Caleb Kirk disappeared from the tax list entirely. 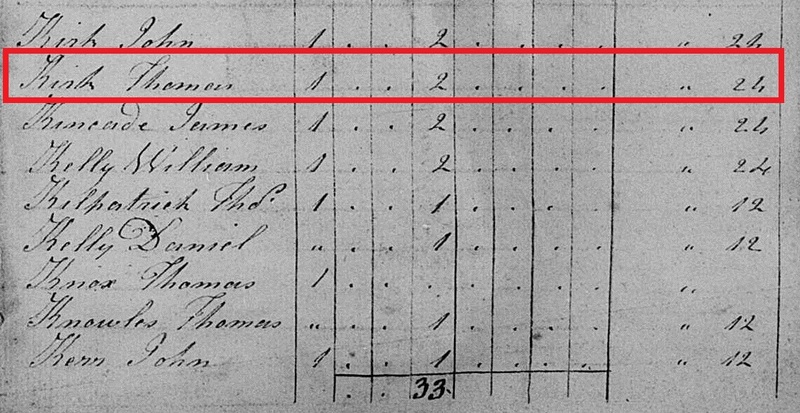 In 1801 and 1802, Thomas and John Kirk appeared again - the only Kirks enumerated those years. In both years, Thomas paid a 24 cent tax for his two horses. John still did not own a horse. In 1803, both men were enumerated for the fifth year in a row. However, John's personal fortunes were finally on the upswing. He now owned two horses, like Thomas, and was assessed a 24 cent tax (congratulations?!). In 1804, the year after Ohio became the 17th state to join the United States of America, Thomas Kirk was on the move. He no longer appeared in the tax list, although John Kirk remained with his two horses. 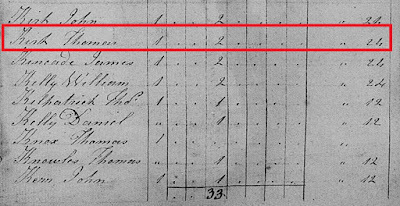 John Kirk disappeared from Brooke County's personal property tax list the following year in 1805; himself now on the move. How do I know that the Thomas Kirk enumerated in the Brooke County personal property tax lists between 1799 and 1803 is my fifth great-grandfather? The records simply don't afford me the luxury of a clear-cut answer. However, when I triangulate this information with other research and family lore, the appearance of a Thomas Kirk in this particular area during this particular time is certainly eyebrow raising. My Thomas Kirk married Sarah Bonar in about 1804. A Thomas Kirk appeared in Sarah Bonar's home county between 1799 and 1803. A Thomas Kirk disappeared from that county in 1804, the same year family lore speculates he married Sarah and moved across the Ohio River to Belmont County, Ohio. This Thomas Kirk was simply in the right place at the right time. I have also reviewed Brooke County's land tax records for this time period. It's noteworthy that Sarah Bonar's father, William Bonar, appeared on those lists and paid tax for sizable amounts of acreage. However, no men surnamed Kirk appeared on those lists. Thomas' absence from these lists doesn't strike me as unusual. He was a young man of 21 just starting out in the world. He would need to amass some fortune before he could purchase land. Perhaps Thomas and Sarah saw greater opportunity for their new family in the wilderness of Ohio where vast amounts of land lured young pioneers with promises of wealth. That narrative would fit with known Kirk family and American history. 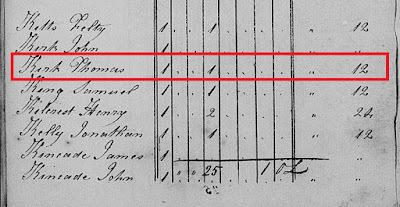 John Beard, who was married to a Margaret Kirk and sold Thomas Kirk 100 acres in Licking County, Ohio in 1812, was enumerated on Brooke County's tax lists beginning in 1798. 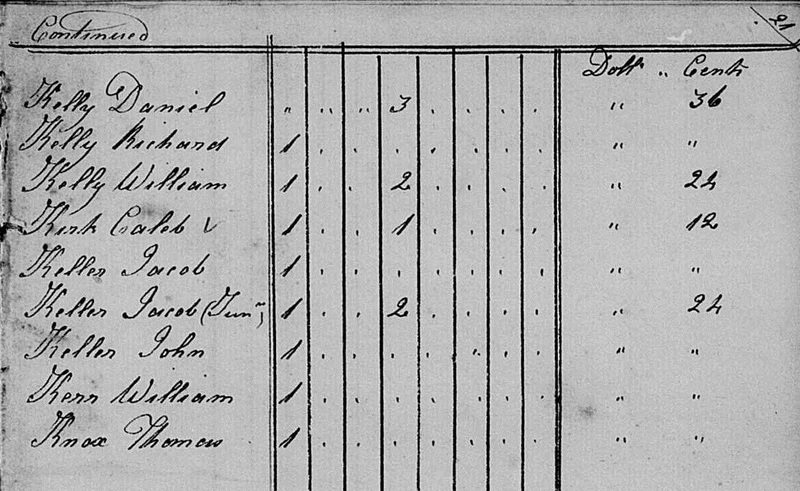 Hugh Ford, who was married to Ann Kirk - an alleged sister to my Thomas Kirk, appeared on the tax lists from 1797 to 1802. Hugh and Ann (Kirk) Ford moved to Belmont County, Ohio. Did Thomas and Sarah (Bonar) Kirk follow them there before continuing on to Licking County? 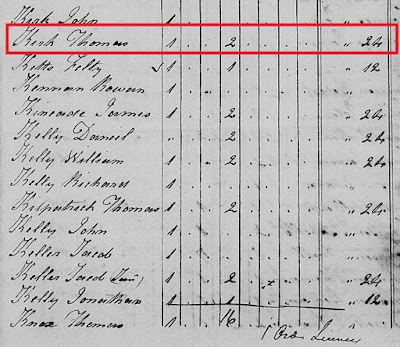 Although no marriage record has surfaced for Thomas and Sarah in either Brooke or Belmont counties, perhaps an 1804 tax record survives for Belmont County that enumerates Thomas Kirk. Oh the possibilities! 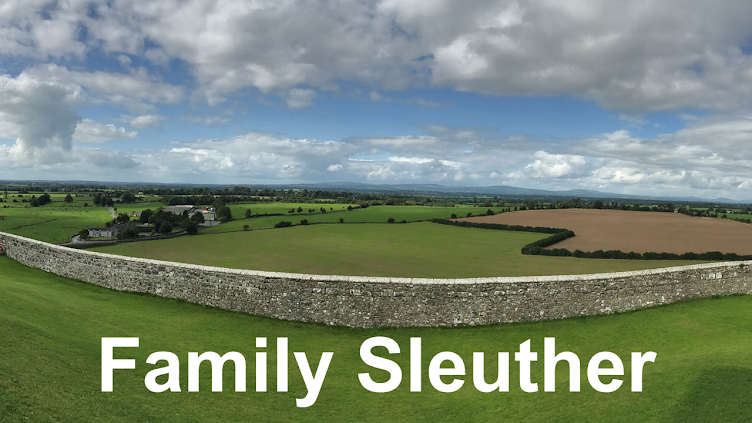 With new clues at hand, the sleuthing continues with renewed vigor. 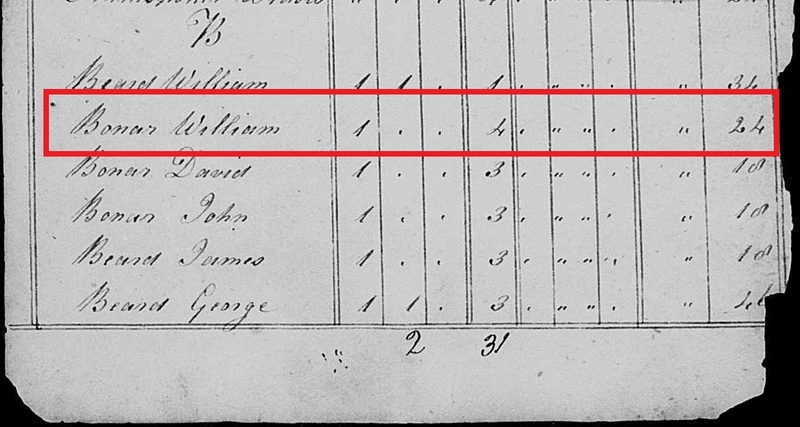 I've been aware of tax records for the entire time I've been doing genealogy. I've seen how others use them to determine ages of men and possible relationships. I have waited for them to become available online for the Virginia and West Virginia counties I do research in as living in Europe makes it difficult to drop in at the court house or go to the Family History Library. Kudos to you for finding your Thomas Kirk and the associated names in the tax records. Keep checking those counties on FamilySearch. Brooke County's tax records - among others - are recent additions to their online archives. The microfilms must have been digitized within the past year. Your day is coming, Cathy! Thanks, Michael. I've made it a habit to go into FamilySearch through the catalog. At one time this may have been considered a waste of time. However at the rate collections are being added, I don't want to miss anything NEW to me. It's exciting how quickly they're digitizing records. My primary frustration now are those digitized records that require you to view them from a Family History Library. You do not have to be in the Family History Library to view the digitized records, you can view them in any FamilySearch center worldwide. Congratulations! I am convinced by your research and reasoning that this was your Thomas Kirk. But who were Caleb and John? That has me intrigued! Thanks for the vote of confidence, Amy. Appreciate it! I'm equally puzzled by Caleb and John. I'll have to keep digging on this question, but at least I'm researching in new geography!